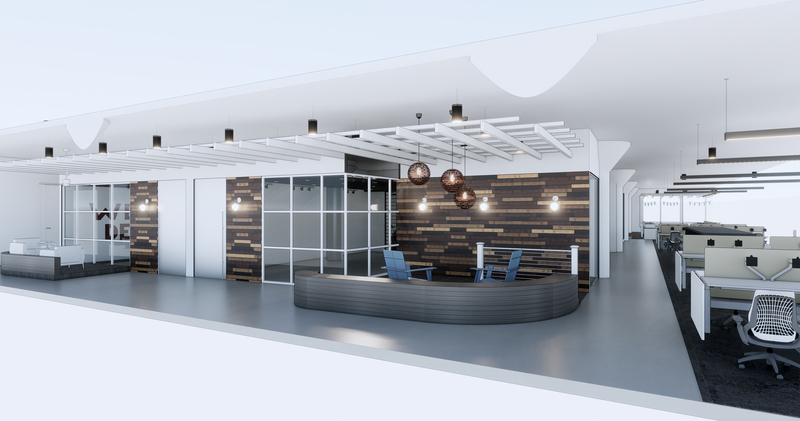 Skender recently started interior construction of the 24,000-square-foot headquarters for The AZEK Company, a Skokie-based industry leader of premium building products with manufacturing facilities in Scranton, PA and Wilmington, OH. The AZEK Company is relocating from its current offices in Skokie to accommodate the business’s rapid growth and future needs. Once complete, the third-floor open-plan office will include multiple porches with pergolas and lattice ceilings made from materials produced by AZEK. Skender is also building out space at 316 N. Elizabeth dedicated to product demonstration and vendor training for AZEK. Serving as general contractor, Skender is working in collaboration with HED, ESD Global and JLL to complete the project by the end of November 2018. Skender has successfully completed new interior construction projects at 1330 W. Fulton for numerous inaugural tenants, including Sterling Bay, Glassdoor, The Climate Corporation as well as Skender’s own headquarters.